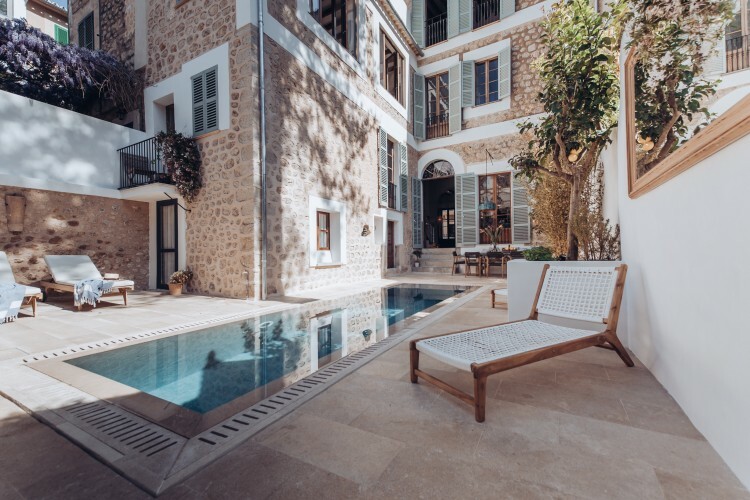 This architectural gem in the Heart of Sóller has been immaculately restored and modernised from its 1896 creation with no compromise on luxury. 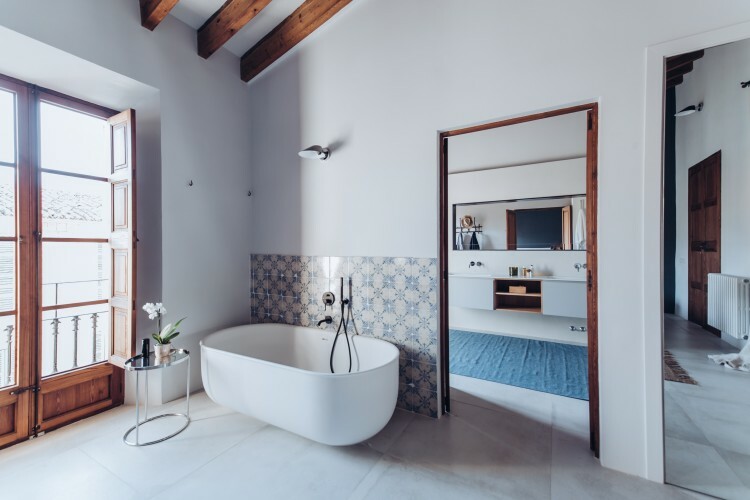 The mission in reforming it was to create a home with an uncompromised year round living experience, while ensuring the heritage not only lived on but enhanced its lavish style. It has 5 vast bedrooms, a south facing garden, and a roof terrace with panoramic mountain views. 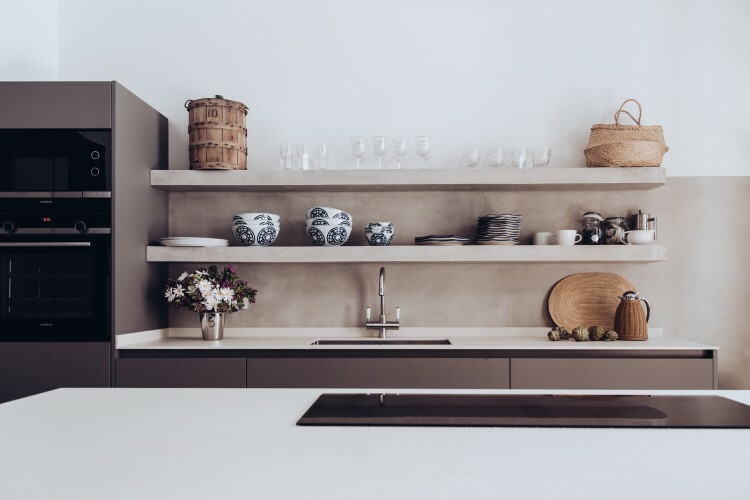 Fitted with cutting edge technology and modern finishes, this house is for a client who appreciates comfort, luxury, and an intimate connection with the space around them. The extensive reformation saw all the historic sections painstakingly restored to their original glory. 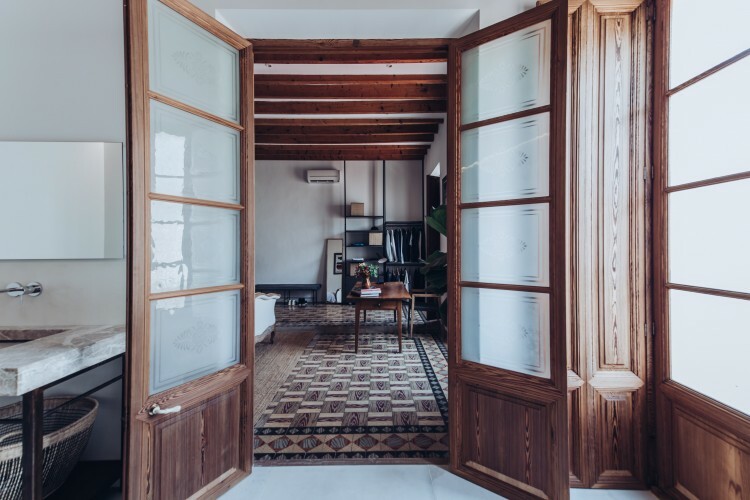 Designed by Parisian architects in the late 19th century it exudes french charm with 5 meter ceiling heights and impeccable hand made detailing throughout. 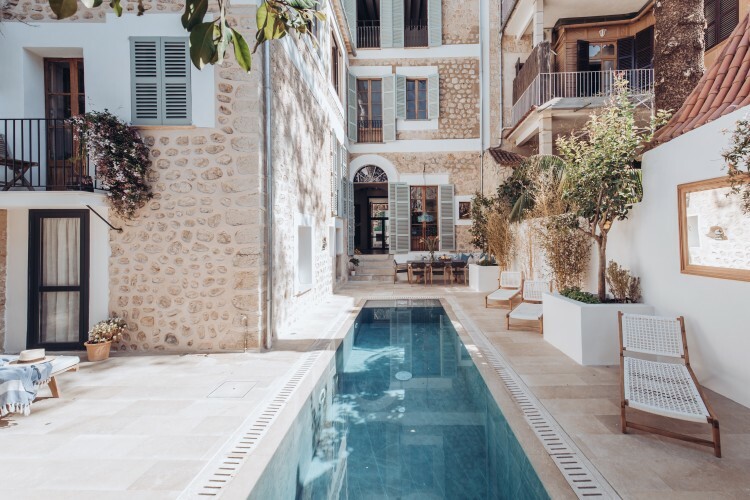 The imposing building presides over an oasis like garden with a state-of-the-art swimming pool, private dining area, and plentiful sunbathing spaces. 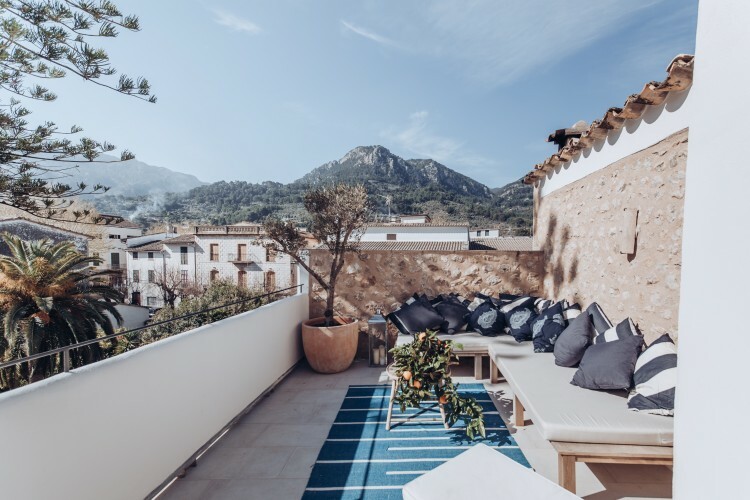 The roof terrace provides unobstructed panoramic views of one of UNESCO’s most prized possessions, the Tramuntana mountain range. 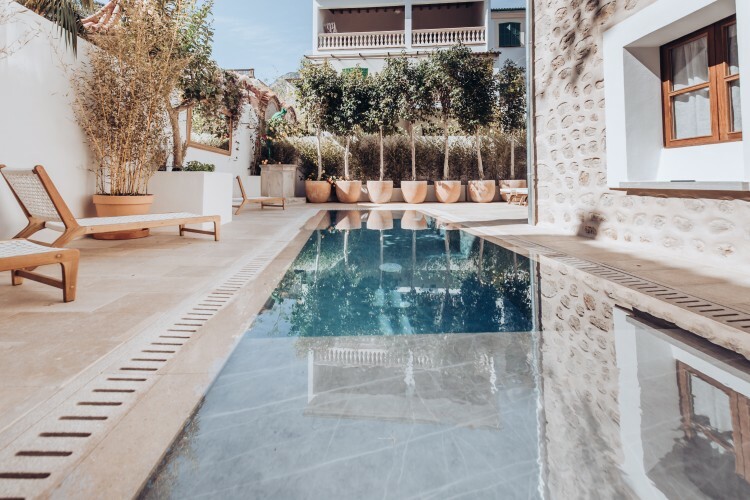 With space for outdoor dining, evening cocktails, and sun loungers set between potted olive trees, this is a special space that adds a whole new dimension to the property. 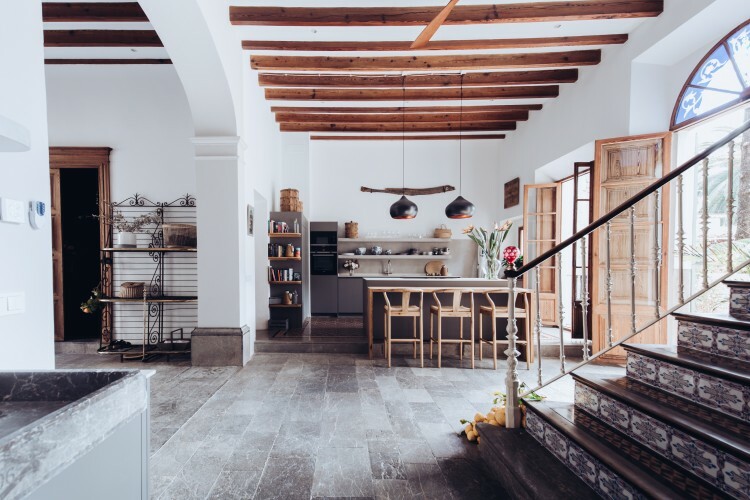 The grand entrance hall of 130 sqm hosts the kitchen, dining room, and drinks bar. Original features combine with modern luxuries to create a space where time seems to stand still. 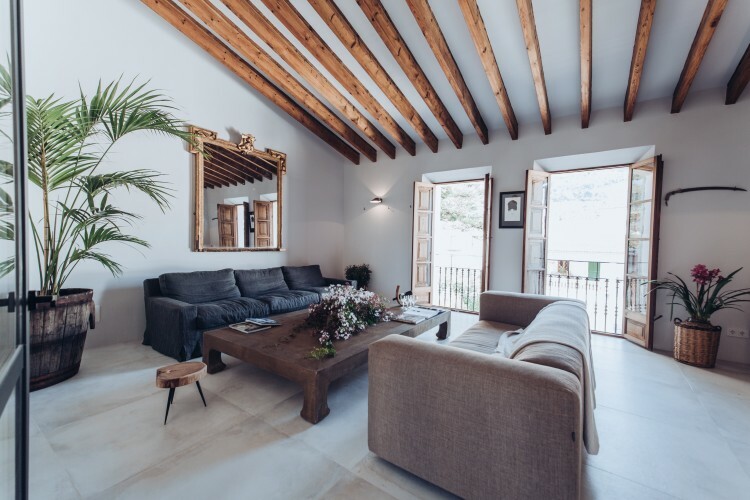 The property boasts 3 living spaces, each with their own ambience and styles, designed for year round living and entertaining in a lavish fashion. 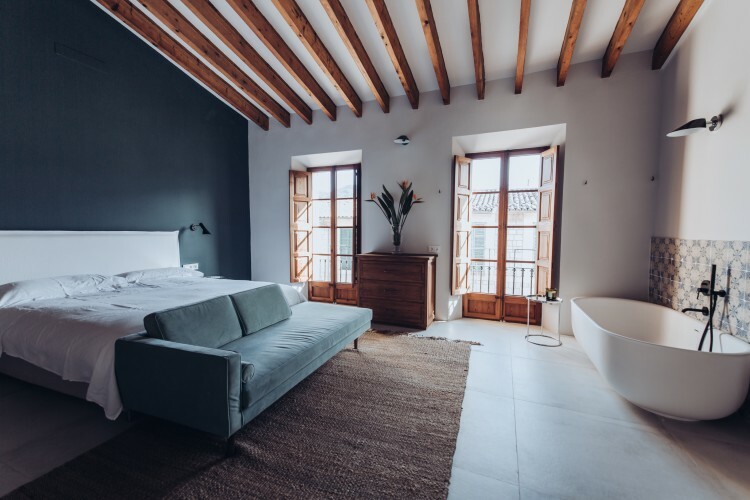 The 19th century French architecture is at its finest through the 5 vast bedroom suites with their impressive ceiling heights, original beams and doors, and painstakingly restored floors. The spectacular original acid etched glass windows flood the rooms with light. No expense was held back reforming these spaces with Wifi boosters, reverse cycle climate control, and exquisite finishes used throughout. The house is powered by an OkoFEN 32KW pellet boiler system imported from Austria. It is amongst the most sophisticated and efficient systems on the market and integrates with the rooftop solar panels. 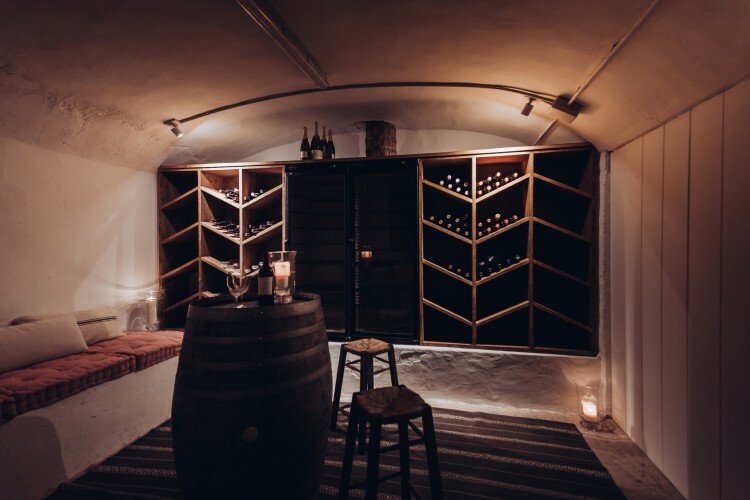 The wine cellar comes with two full length fridges, wall to wall storage, intimate lighting, and a built in chill-out, making it worth of any collection.